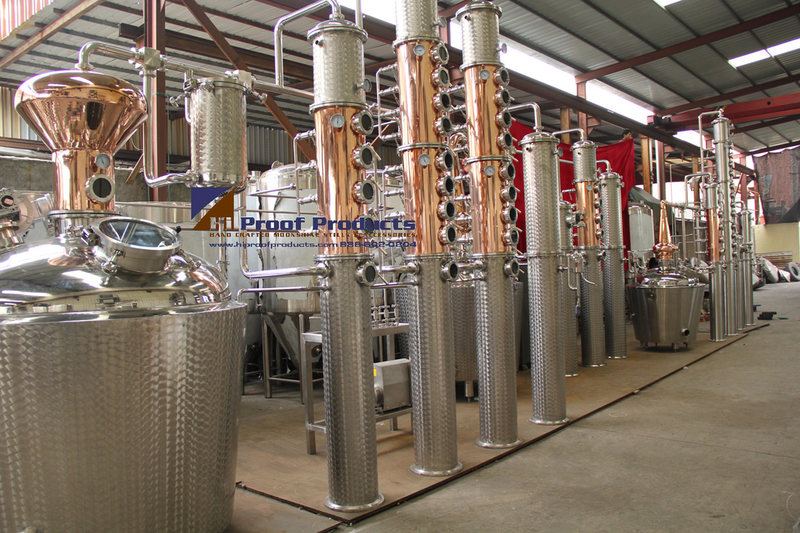 We get calls from individuals on a regular basis asking if we can build them a custom still. Hi Proof Products works with copper as well as stainless steel and will be more than happy to quote any package or idea that you might have in mind. 2. Your ideas or concerns. 5. All questions regarding your project. 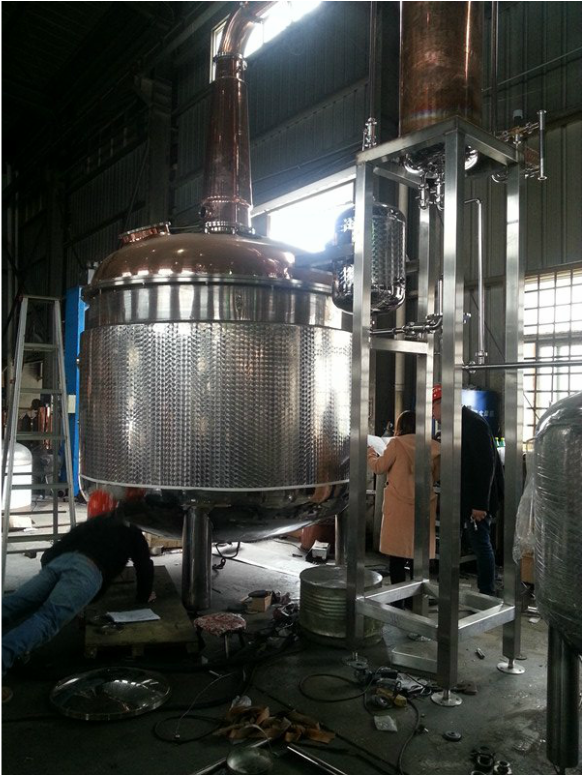 This is a little 2350 gallon still being assembled.